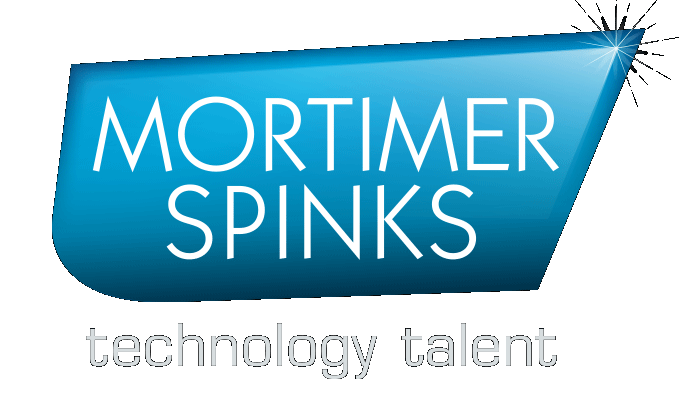 On the 26th of September, I had the pleasure to attend ‘Delivering Diversity in Technology’s event organised by ComputerWeekly.com and Mortimer Spinks. It was a full day event with 3 types of workshops, two panels, inspiring keynote speakers and networking opportunities. The event finished with the announcement of the most influential woman in UK technology for 2018. We must repeat loud and clear: the tech industry is not only about coding and we can bring amazing expertise from all other industries and backgrounds to have an impact. Technology is developing quickly, new professions are created and there is a huge shortage of employees in technical fields. 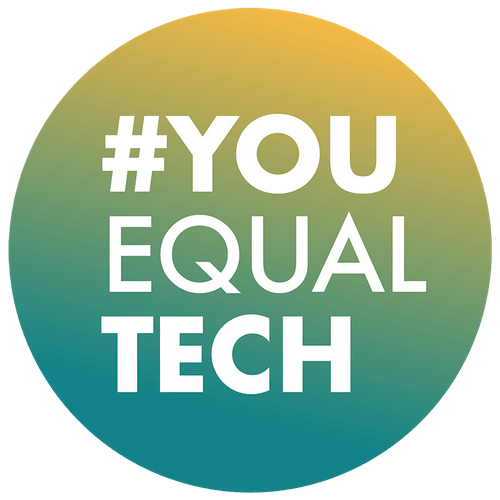 During the workshop “#YouEqualTech / Altogether Different” Charlotte Butler took us through a short journey where we had the opportunity to put ourselves in someone else’s shoes and understand what diversity means in 3D. She also brought a brilliant idea that we can use virtual reality to better understand others. We all experience micro-aggression, often we are victims of it and sometimes we are even unintentionally doing it. A better understanding can bring meaningful solutions and changes in today’s word. Another workshop: “Computer Weekly / Code First: Girls” showed how important the community and a supportive environment are. Their main goal is to increase the number of women in tech. At the moment they have the community of 6000+ talented women who are taught to code for free in the UK. They delivered free coding education worth £4.2 million. They are passionate about using coding education to empower women into new careers. At the moment 19% of women work in the tech industry but when we look at another percentage we can see that this number is increasing. There are many options to up-skill and to get into tech. During the final interactive session, we worked in groups trying to find the solution to be more open during the recruitment process. As a summary trainer show us a case study from ThoughtWorks and we saw how small change can make a big difference. The last workshop: “EY – Women in Emerging Technology” was focused on women in the tech industry – not only as an employer but also as leaders. During the workshop EY in collaboration with Henley Business School, EY launched the joint EY and Henley 4-day ‘Women in Emerging Technology – Immersion Course’. These three workshops were very interesting and informative. Dr. Jess Wade, the first Keynote speaker, shows enthusiasm for equality and promoting STEM subjects to get more girls into tech. She explained a teacher’s influence and how harmfully this can be stereotyped. As a solution available for everyone she showed building a network and talking about it. Jocelyn Bell – Burnell is a great example of it. 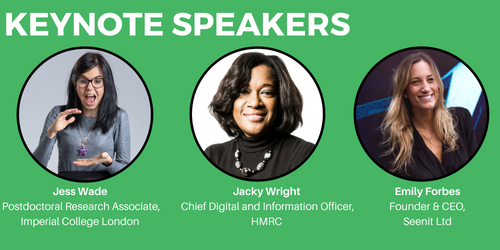 A panel about inclusion pointed out that technology in today’s world is necessary and we must re-type our skillset to feel secure in the workplace. This also shows that so many women get to tech industry by accident and as an answer to the question “how to change it”, Gabriela Matias was picturing a project where students learn about different professions, working with their representatives. Josh Uwadiae pointed apprenticeship and bigger awareness about the possibilities and benefits of the program. Emily Forbes, second Keynote speaker told her amazing story about “storytelling” while highlighting the impact of a network and community. She also presents a few useful tips about how to be open, meaningful and build the network. Second-panel emphasizes that women entrepreneurs don’t “ask” for money for their business – only 2% do, but over 30% of women entrepreneurs support other businesses. As an answer on that, we heard that we shouldn’t think about it as asking but earning. Referring to Emily’s pitch we should prepare an impactful story, make people excited about what we do and sell it! Business is emotional and storytelling can sell better than knowing all statistic. The last Keynote speaker Jacky Wright completed the event with information on inclusive leadership. She said that at the moment we have four generations in the workplace, and she asks: “How we can make sure that we are taking all the best from these people?” We must think outside the box. Be authentic – be who you are – so people can be who they are! Ask questions, and be aware of how you lead. Don’t expect the same from people and don’t judge them by your assumptions. Put yourself in their shoes. We need to also give people the opportunity to learn on their own failures, any other way and they won’t be creative and bold. Leaders must be “agile”, and constantly develop. In the end, the most influential woman in UK technology for this year was announced – Amali de Alwis, CEO Code First: Girls – Congratulations! Thank you for organising this amazing event! I’m definitely going to take everything I learnt and use it inspiring girls into tech during our next SEE event. Agnieszka has always had a strong interest in helping people to better themselves. Currently, she is responsible for coordinating professional development workshops and running SEE-hacks at an EdTech startup. 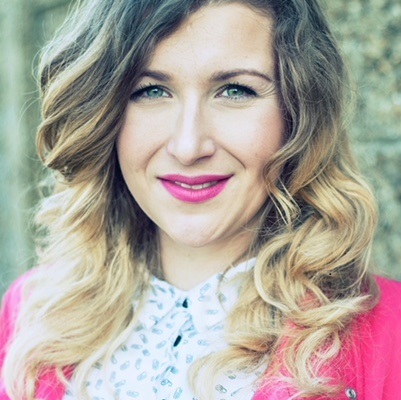 With a strong background in Pedagogy and focus on career advice and vocational guidance, she launched her own business organising training events and worked with Women’s Academy at The Polish Psychologists Association. After work, she enjoys making jewellery as a founder of The Little Things.